I have enjoyed a few episodes of the PBS TV program Downton Abbey. When I see the manor house in its grassy setting in the program’s opening, the landscape reminds me of Chatsworth in northern England. 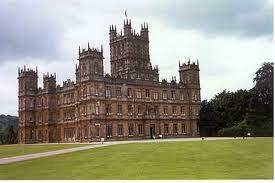 England's Highclere Castle, location for the TV series 'Downton Abbey'. Chatsworth is the classic landscape that has survived three hundred years. It features an extensive lawn, a rock garden bigger than you’ve ever seen, a cascading water feature, a conservatory, as well as several sculptured pieces throughout the gardens. Recently in London’s Telegraph the Duke and Duchess of Devonshire, who are the owners of Chatsworth, talked about how there is renewed interest in Chatsworth because of of the TV series Downton Abbey. Chatsworth represents the classic English landscape, developed over decades and maintained to the present day like a living museum. The actual setting for the show is Highclere Castle, home of the Earl and Countess of Carnarvon, whose castle is located one hour from London. 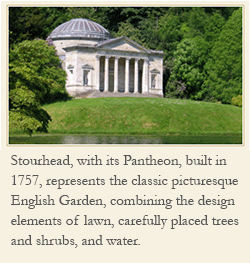 The house dates to the nineteenth century, but its landscape design began much earlier. 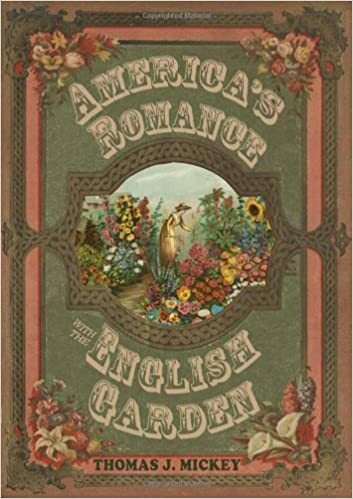 What the show is doing of course is giving millions of viewers a sense of the classic English garden style.